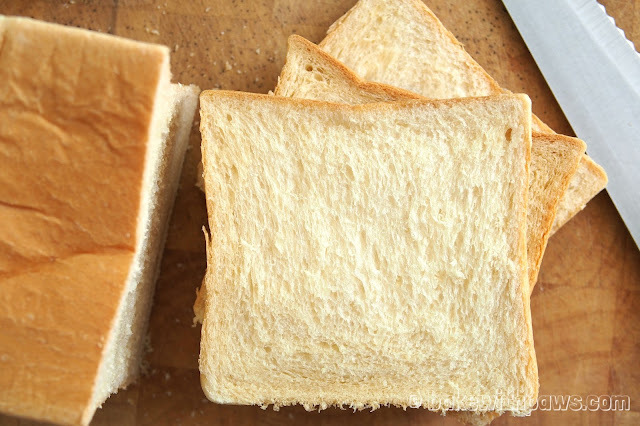 White Sandwich Bread is a basic bread we eat a lot of. It may not get much attention as it can be found anywhere. 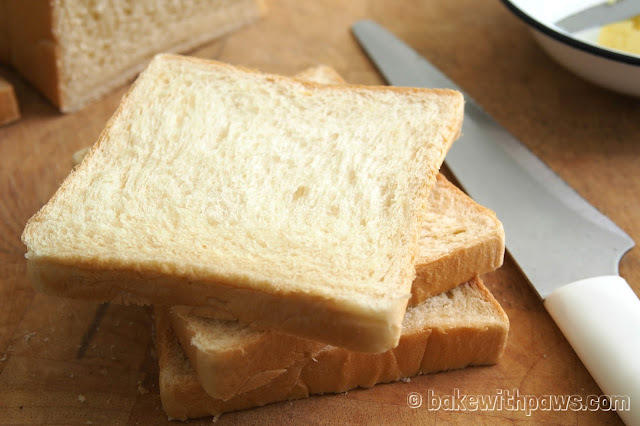 However, a good quality white bread with no preservatives and additives is hard to find. This is the most flavourful, soft and fluffy sandwich bread I have made. I used the “Overnight Soft Bun Dough (16-hours poolish version) recipe” that I shared before. The original recipe is from Corner Cafe. This bread is delicious! Add in butter and knead until achieve window pane stage (the dough at this stage should be able to pull and stretched into membrane). Punch down the dough to release the air. Transfer the dough to a clean floured surface then divide into 3 equal portions. Roll out each dough with a rolling pin into rectangle shape. Roll up the dough until a log is formed. 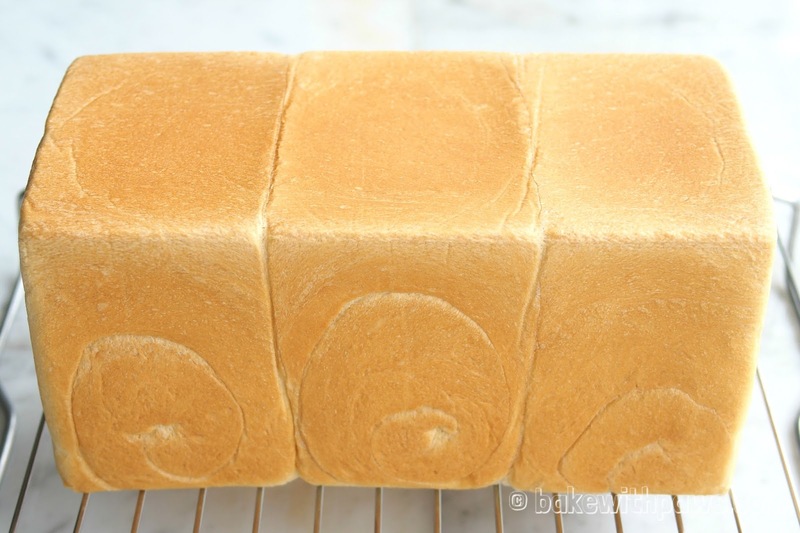 Place all 3 dough in a 12x25x11cm pullman loaf pan lining with non-stick baking sheet. Cover the loaf pan and let it rise for another 45 minutes. Bake in a preheated 190 C oven for about 40 – 50 minutes. Remove from the oven and transfer onto a wire rack. Let cool completely before slicing. Thank you for trying this recipe. I am glad that you like it too. 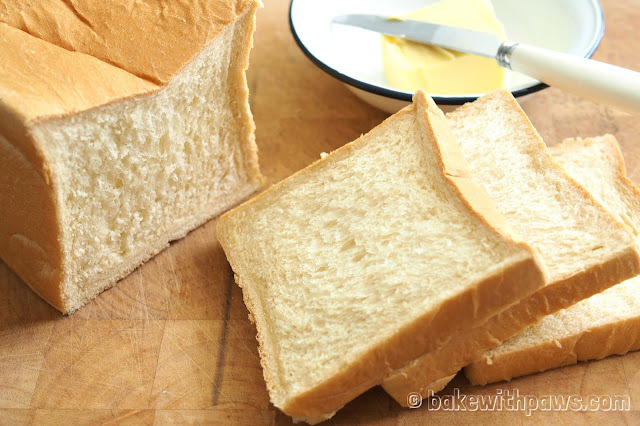 It is great to know that it works with bread maker too.